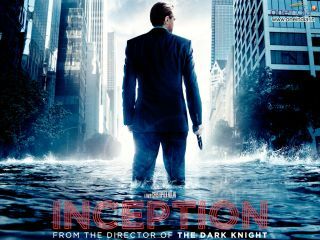 Christopher Nolan has confirmed that he is working on a videogame version of his multi-layered movie Inception. For anyone who has seen the film, it's clear that it's ripe for a game adaptation. And it seems that Nolan is no stranger to exploring the movie's themes outside of the cinema, having already released a graphic novel prologue tie-in. Speaking to Entertainment Weekly, he explained that he was working on the game, saying, "I always imagined Inception to be a world where a lot of other stories could take place. "At the moment, the only direction we're channelling that is by developing a videogame set in the world." Apparently videogames are "something I've wanted to explore," according to Nolan. He's obviously a fan of Jet Set Willy, then. Videogame adaptations of movies are usually tied into the release of the films, and this usually means the games are rushed and pretty poor. Given that Nolan is taking his time with this one, expect something special when it eventually appears. But don't expect it soon, because it looks as if The Dark Knight Rises is his priority at the moment.